Published on November 26, 2018 . 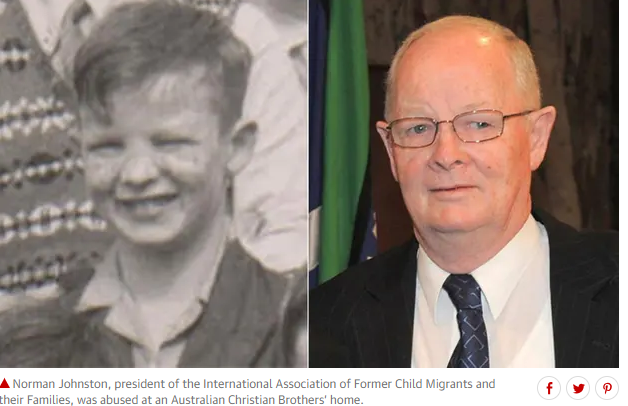 The International Association of former Child Migrants & their Families welcomes tomorrow's report by the Independent Inquiry into Child Sexual Abuse (IICSA). Many members described terrible accounts of childhood abuse to this Inquiry. We hope that the Inquiry finds the courage to do the decent thing. This is another late chance for strong measures to confront this shocking scandal. Truth and justice are needed now, more than ever, not half-hearted gestures. Published on February 28, 2018 .